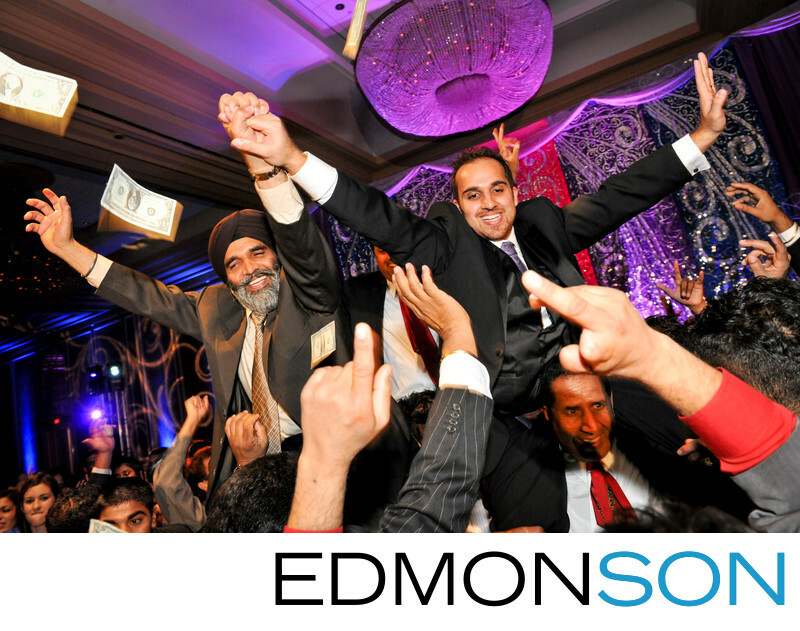 Money flies at Sikh wedding reception held at the Hilton Anatole. Sikh's are well known for their festive dancing and revelry in Dallas. 1/50; f/5.6; ISO 1600; 24.0 mm.